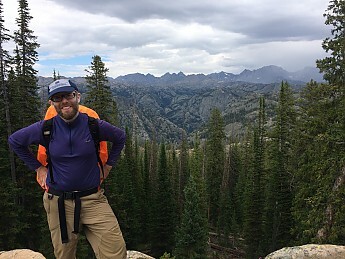 My Trailspace hat kept off the sun and rain during a recent hiking trip in the Wind River Range. Bonus: I crossed paths with a hiking buddy of Tipi Walter! The Winds are a wonderful mountain range. I miss Wyo. Did you meet Bryan Delay? I did indeed. I mentioned you, but I thought he said "pacman!" He was heading in as I was heading out. Yeah, I run into Bryan from time to time here in TN; I saw him a few weeks ago and he mentioned that he was heading to Wind River this year. A lot of folks only know my name through Tipi and many times they call me pacman. I've been called worse! Nice, Seth! Enjoy your time in WYO! I'm heading there on Monday, woot! Happy hiking Ashleigh! If you are heading into the winds, you're in for a fantastic experience. We had frost our first night in! Cool, i know you took more than one picture......didnt you? I hope you had a great time Seth. I actually took 3 pictures Mike! If I'm not doing gear testing, I typically don't take a lot of pictures. I don't know why. Early on, it was because I believed that it would help me remember experiences with more clarity. Now, I'm almost certain it's a combination of habit and laziness! This forum: Older: Another weekend and another jaunt into the woods Newer: As promised for a cool cap!